The video was created by ongoing collaborator Jamie McKelvie and animated by Mighty Nice. 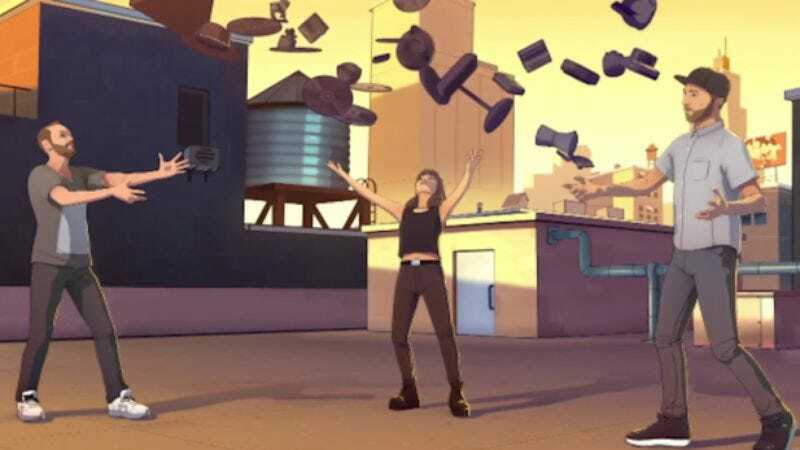 Clearly inspired by superhero derring-do, the music video pushes in on the panels of a comic book and finds animated versions of all the Chvrches members using telekinesis to float household objects through the air. Then, Williams shows up and teaches the band how to develop their powers to the fullest. In no time, the musicians are flying through a city with joyful abandon. Ultimately, the video is a breezy take on wish fulfillment, with some delightful moments and, of course, a catchy soundtrack. Ever since Jamie McKelvie began working with us on Chvrches poster designs, we have been discussing ways in which we could further our creative relationship. His work on comics such as Phonogram, Young Avengers, and most recently The Wicked + The Divine have cemented his reputation as one of the most unique and exciting artists.